The growth in popularity of ETFs has inspired a proliferation of options, providing investors with many different ways to access the core equity and bond markets. Choosing what to invest in is a personal decision, but for many cost is the starting point in making that choice. Keeping a lid on cost is one of the most effective ways of maximising returns, but it doesn’t have to mean cutting corners. Quality is still important. Investors need to know their fund is robust and ready for the long haul. Experience and expertise are just as important here as they are for any other type of fund. With investors and their interests at the forefront of our minds, Lyxor have just launched a new range of 16 ETFs with some of the lowest costs in the European market. * As always, they cleave to the standards set by our quality charter. 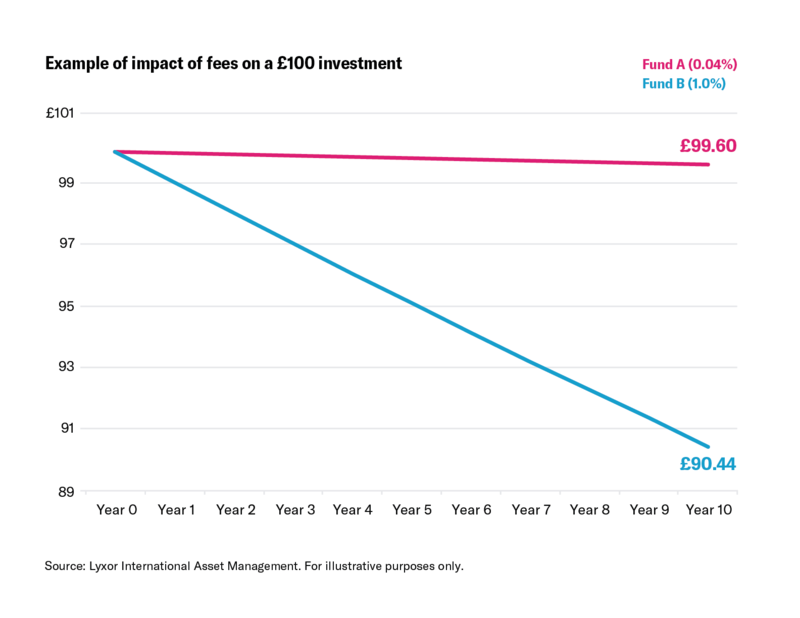 Quite simply, the more a fund manager takes out of an investor’s assets in the form of fees, the less that goes back to the investor. 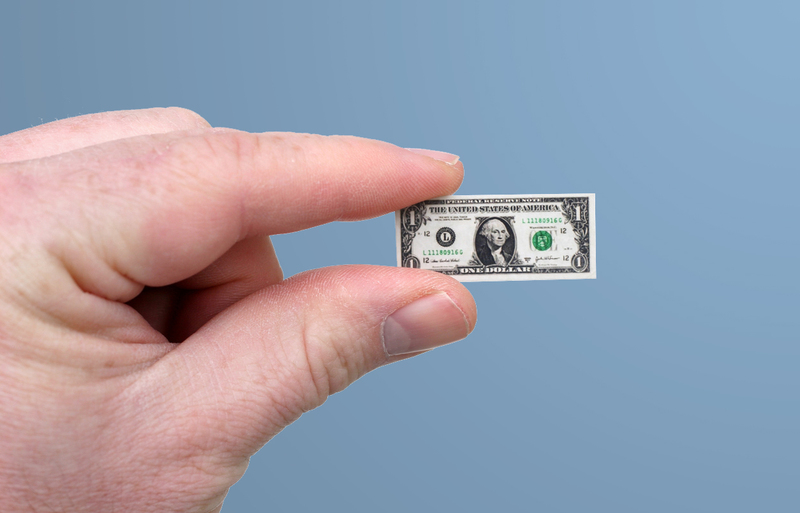 Even if differences in fees might appear quite small, their impact on returns grows along with an investor’s time horizon because of the way investment returns compound over time. Take the example of two funds; one charging 1%, a not untypical cost of a traditional active fund; another charging a more aggressive 0.04% ETF fee. You can see below that over 10 years, this difference can have a profound impact on your investment. Obviously, we’re ignoring performance here to keep things simple, but that is another story. 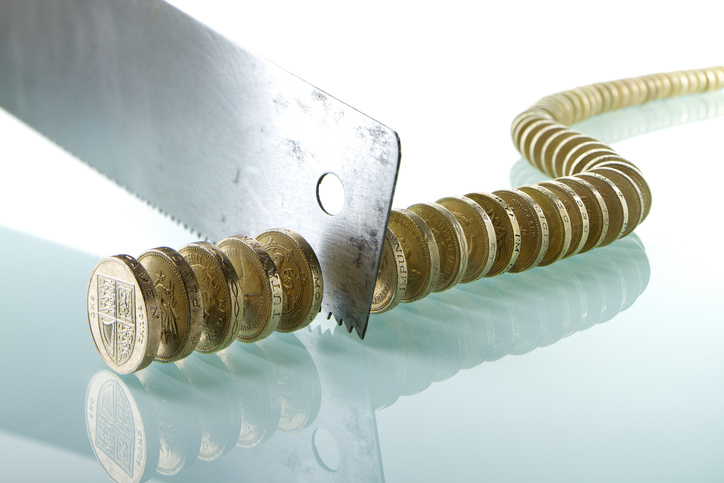 Recent regulatory developments mean there’s more scrutiny on cost now than ever before. 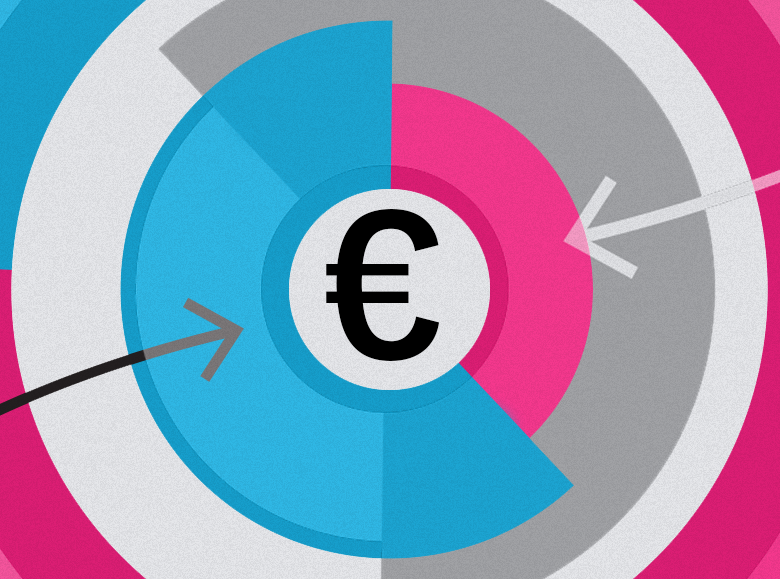 The MiFID II rules, which came into play across Europe at the beginning of January, require much greater transparency when it comes to the fees investment managers charge, and all the related costs of their products. 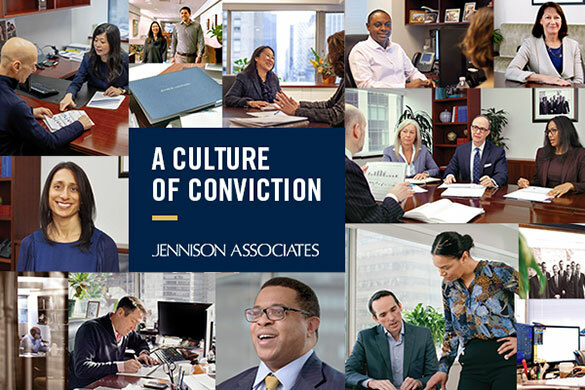 This shines a spotlight on the overall cost burdens investors are facing – and for asset managers, there’s nowhere to hide. Such clarity around fees may well lead investors to flock towards lower-cost options such as ETFs. Another reason that investors may lean toward ETFs: Until MiFID II, fund managers in certain European countries could pay a rebate – or retrocession – to their funds’ distributors in return for selling their products. This is no longer possible, thus removing the incentive for investors to allocate to some of the more expensive options available to them. In other words, all else being equal, investors are more likely to choose a less expensive option than they were before MiFID II. We’d argue the change in mindset is overdue – ETFs never paid retrocessions in the first place. Fees do matter, but doesn’t choosing which index to follow matter more? 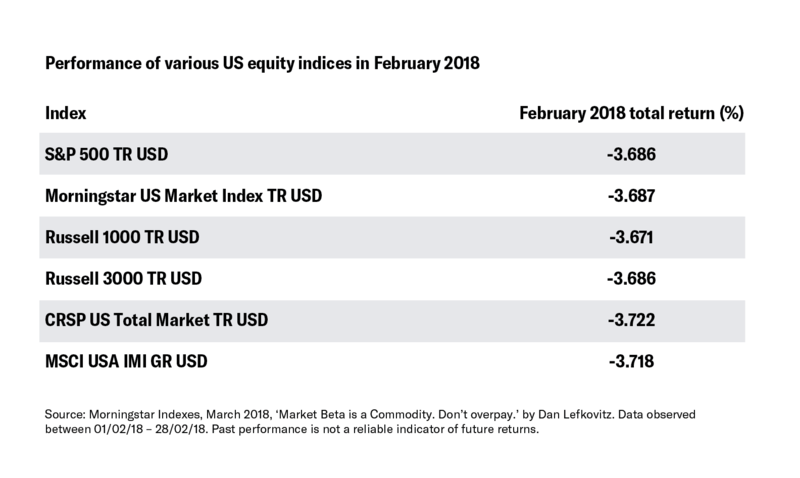 Let’s consider the returns of six different US equity indices this February – a month characterised by sharp twists and turns as volatility returned to the stock markets. Surely there should have been considerable performance dispersion across this range of benchmarks? Actually, not as much as you might expect. 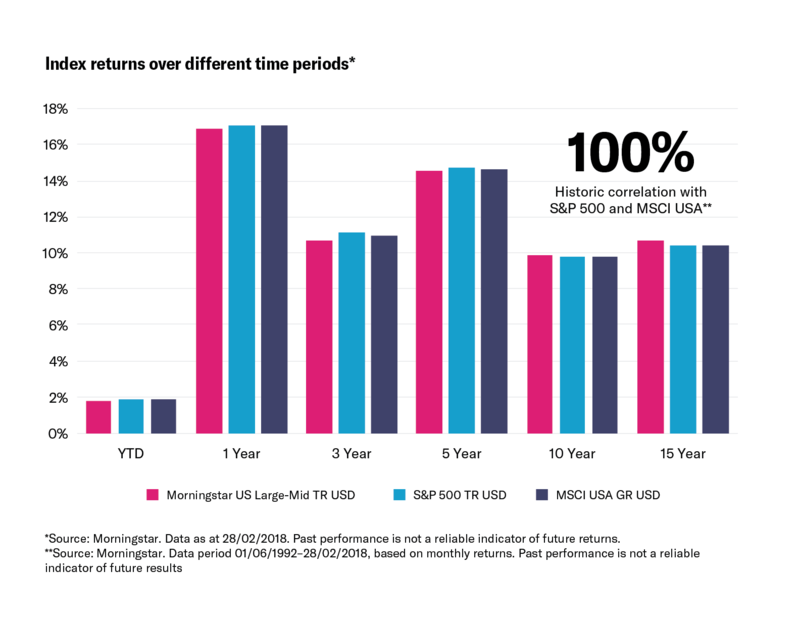 Despite the benchmarks being constructed according to different approaches and guidelines, they delivered almost identical returns. This can in large part be explained by their market-capitalisation-based weighting methodologies, which means their biggest holdings tend to be very similar, driving the convergence of their returns. This isn’t just a short-term coincidence. If you look at returns over much longer periods, the story is the same. For all that, index selection does still matter. We take great care in choosing our index partners. High quality data, robust processes and rock-solid governance are important factors when building market-cap weighted indices. We prefer to partner with big, trusted brands known for their strong track record in indexing. But equally, if we can cut costs to help investors without compromising on quality, we’ll do exactly that. Providing our clients with high-quality ETFs at such low cost might sound simple, but it isn’t: we’re only able to do so thanks to the experience and scale we’ve achieved running ETFs over the past 17 years. And you can be confident that while we’re cutting costs in our new range of core ETFs, we’re not cutting corners: each fund meets exactly the same stringent quality standards covering their performance, risk control, liquidity, and transparency that have long governed our wider range. They’re all replicated physically – the best option for large, liquid exposures like those in our core strategies – and we don’t use securities lending, so you know exactly what you’re investing in at any given time. n cutting corners. Quality is still important. Investors need to know their fund is robust and ready for the long haul. Experience and expertise are just as important here as they are for any other type of fund. Why Pay More for Lesser Long-Term Performance?